This is best done before winter truly arrives but, provided everything isn’t frozen solid already, you could probably get away with doing it now. It’s wise to check that gutters aren’t clogged because they can come loose and/or fall down if they get full of frozen water. Most people take it for granted that their new home is insulated properly when they move in, but I recently read a horror story about one couple that went up into their loft only to find only to find that there was almost no insulation up there. It’s not the end of the world if that turns out to be the case, as mineral wool is fairly inexpensive (pro-tip: wear gloves or risk being itchy for days) and is pretty easy to install. Maybe you’re more diligent than me and have already had your boiler serviced, or perhaps even have one of those fancy plans to cover breakdowns. But, if not, check when you last had it done. There’s only one thing worse than an inefficient, clogged up boiler (which can be expensive to run), and that’s it breaking down altogether in the winter months. And the colder it is, the longer you’ll often have to wait for a busy repairman. Frozen pipes can interfere with water pressure and, if you’re really unlucky, result in a burst pipe. The risk of frozen pipes is reduced if they’re located in heated areas, which is out of your control, but you can still wrap them with insulation. You might also want to turn off the supply to any outside taps, as it’s pretty unlikely that you’ll need them over winter and they’re well known for bursting and making a mess. Following on from the above winter maintenance tip, it’s a good idea to keep the heating on low if you or your tenants are going to be away from the property. An hour or two across the course of day is enough to keep everything flowing smoothly. Many boilers and radiators now have an anti-frost setting built in, which can be useful and more economical than setting the heating to come on and go off manually, so check for these before you start fiddling with those timers. It might be tempting to keep the windows closed and the trickle trays (if you have them) shut to keep the place nice and toasty, but this also increases the risk of condensation. That can lead to damp, which is something you definitely don’t want. Cook with the kitchen door shut to prevent steam from dispersing all over the house, and open windows whenever they have condensation on them to get some fresh air through the place and reduce the risk of damp. 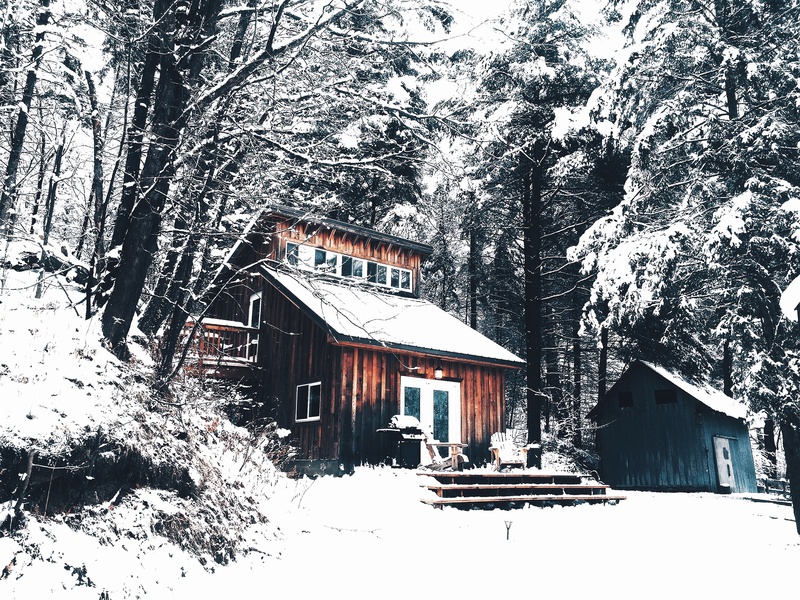 It’s impossible to avoid every unforeseen winter mishap but, if you follow the above winter property maintenance tips, you should be in better stead than most. Now, since I’m writing this post wearing three jumpers, all I have left to say is roll on summer!